Being AGILE and managing project in agile way is not only a statement but organisations have to “make it happen”. Organisations often think they are or could be agile. It could be a wishful thinking but in reality they have what I call an in-house “DNA”, usage, strong company culture which might not be in favour of developing agile practices. AGILE prior to be project management methods is first a mindset, a posture, a way of being. Be aware of “flawed AGILE”, it looks agile but it’s not. 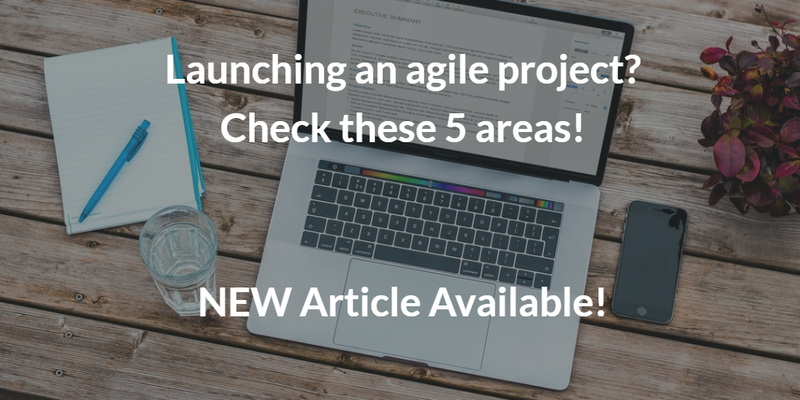 In this article we explore 5 examples of area to check before launching an agile project. ABOUT THE ARTICLE: Organisations are facing so much unknown that they have to be ready almost for anything. That means the ability to launch quickly project and mobilise multi-skilled resources either in house or through pre-agreed commercial subcontracts or a mix of both. The AgilePM guidance of ABC (Agile Business Consortium) has an interesting document called “PAQ : Project Approach Questionnaire” used at the outset of the project. The questionnaire is in fact a risk assessment for the management side of the project. It helps defining if all stakeholders are effectively able to work in agile. ABOUT THE AUTHOR: Antoine Breton has 30 years of experience in project management and technical Operations. He has been an agile management accredited trainer for the past 10 years on “Best Practices” in agile project and programs management: PRINCE2, DSDM – AGILE PM (Project Management and SCRUM) and AGILE PgM (Program Management). He performs consultancy work for embedding PRINCE2 and AGILE within organisations. He delivers training and support for the implementation of best practices. He is able to perform missions in English, and French. TO READ AND DOWNLOAD THE FULL ARTICLE: simply follow this link!